The concept design is driven by the desire to blur the boundaries between retail and cultural zones and indoor and outdoor spaces with flowing spatial transitions that encourage discovery and deliver an energetic civic node. 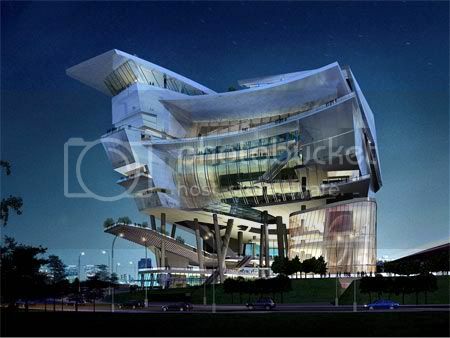 Aedas have designed this spectacular 54,000 sq.m. 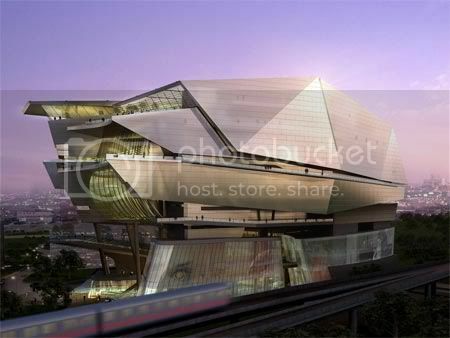 Singapore Civic & Culture Centre comprises of cultural, civic & retail uses and when complete will provide a premier entertainment, lifestyle and retail experience for one-north and the wider Singapore community. 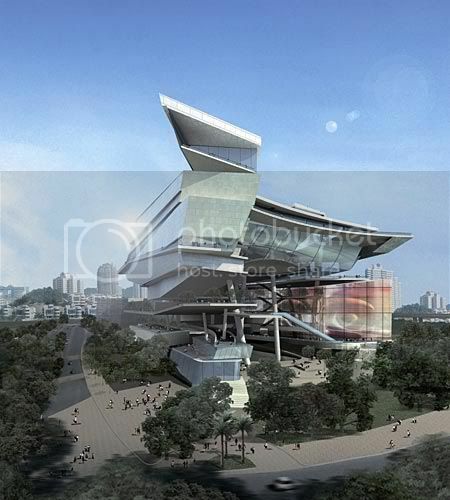 Its angular, multi-faceted design creates a variety of perspectives, changing the form dramatically depending on the viewpoint. The spectacle of the Center is most truly presented from the south elevation which, being completely open to the outside, shows the inner workings and layers as a section visible from the exterior. 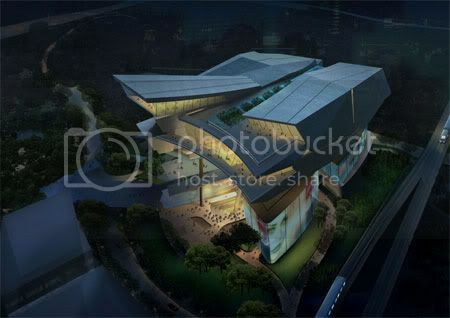 The design for the 24,000 sq.m. retail space responds to the challenging site topography as the zone spirals inwards addressing the major entry points and culminates in an open amphitheatre. 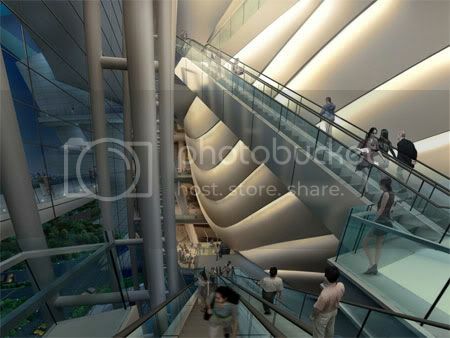 Above, a 40m high grand foyer creates a visual and spatial connection between the retail, civic and cultural zones. 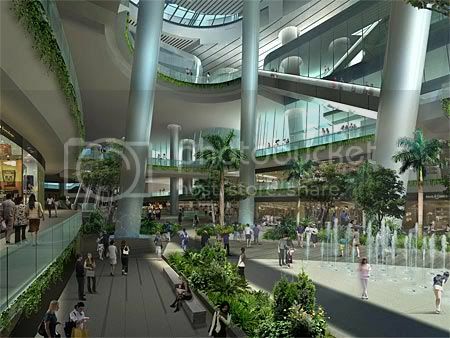 It also provides a canopy under which the public can experience outdoor entertainment and al-fresco dining while protected from the elements. 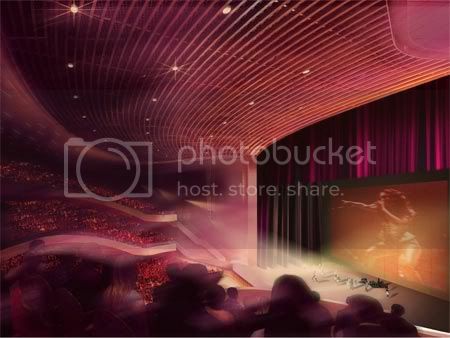 The focus of the cultural zone is a 5,000 plus seat auditorium, which will be the largest venue of its kind in Singapore capable of staging amplified musicals, concerts and other large scale visual events. The venue is supported with administration, artist and technical support, function spaces, foyers, concessions and circulation spaces making up the remainder of the 30,000 sq.m. cultural and civic program. 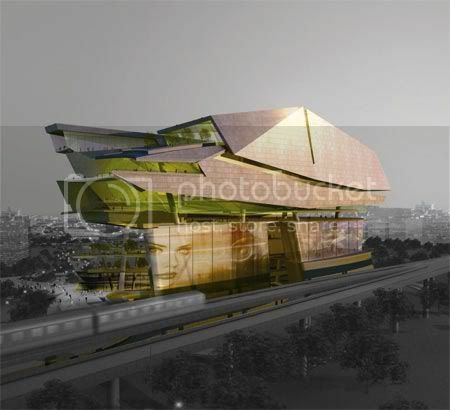 The project is currently making good progress towards its projected completion date in 2011 when Singapore will find its new civic and cultural signature.